Most years I’m eager to plan for Advent or Lent, to bring my own creative energy to these ancient traditions. This year, though, that doesn’t feel quite right. It seems a better course of action would be to talking these things through with a spiritual director instead of my usual planning by brainstorming in casual conversation or on social media, with a bit of prayer. If you shared this insight with me I’d wonder if you were depressed or perhaps unusually busy, but for me, this year, I think this instinct comes from my religious practice being in an unusually good place, and wanting my seasonal devotions to have an integrity and depth that’s going to require a wisdom and perspective other than my own. So this Advent, I’ll be preparing for Christmas by lighting candles and saying seasonal prayers, while keeping my eyes open for the right spiritual director, who’s sure to turn up sooner than I expect. That’s how these things tend to work out. 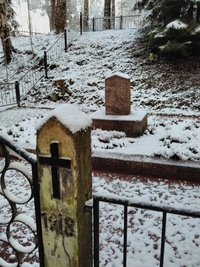 I had a humorous conversation on this topic with a friend the other day, regarding giving up things for Lent or Advent. If we choose what to give up, that’s not a bad thing, but there is nearly always vanity in it. Maybe we choose something heroic, so that we feel good about how tough we are. Maybe we choose something too easy, because we don’t want to feel like a failure. Either way we are protecting our pride. On the other hand, if one asks ones confessor or director what to give up, one is assigned something that may or may not be pleasing. One may think it too hard, or too easy. Being given easy tasks or renunciations is very difficult for me, for instance, because I like people to think I’m tough and capable and good at things. I want the hard task to show off how I can do it. 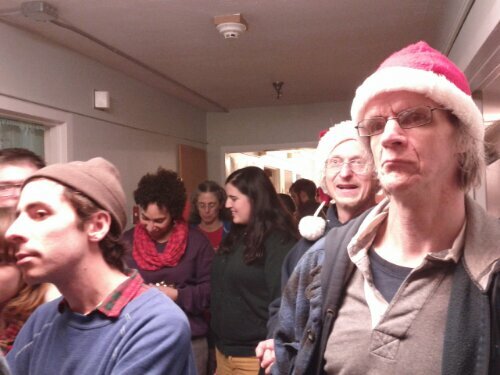 Today, as usual for the fourth Sunday of Advent, Worcester Catholic Workers and friends gathered to Christmas carol. 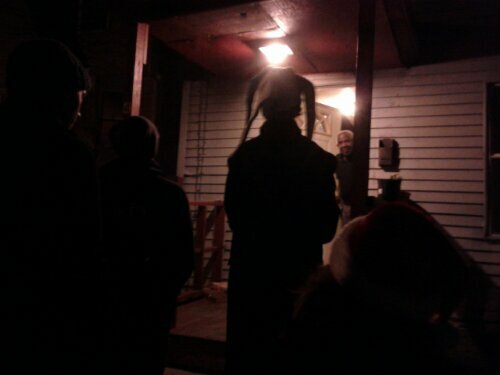 We numbered a mighty 21 this year, and visited a nursing home and people around the neighborhood. I’ve been doing a lot of housecleaning this weekend, especially sorting through old boxes from previous moves that haven’t been opened in some months. Tonight I found my old copy of Advent Meditations from the Writings of Henri Nouwen, which is terrific. I have found it very important to let go of my wishes and instead to live in hope. Exactly what I needed to hear my housemate read tonight. Not much to report this week. Christmas preparations, both logistical and spiritual, continue. I have a wound that is hurting from being stabbed, not the first . . . following the cross puts you in the line of fire. Once we have fully grasped the sense of the cross, we are no longer in danger of finding life sad and ugly. We shall simply have become more attentive to its barely comprehensible solemnity. 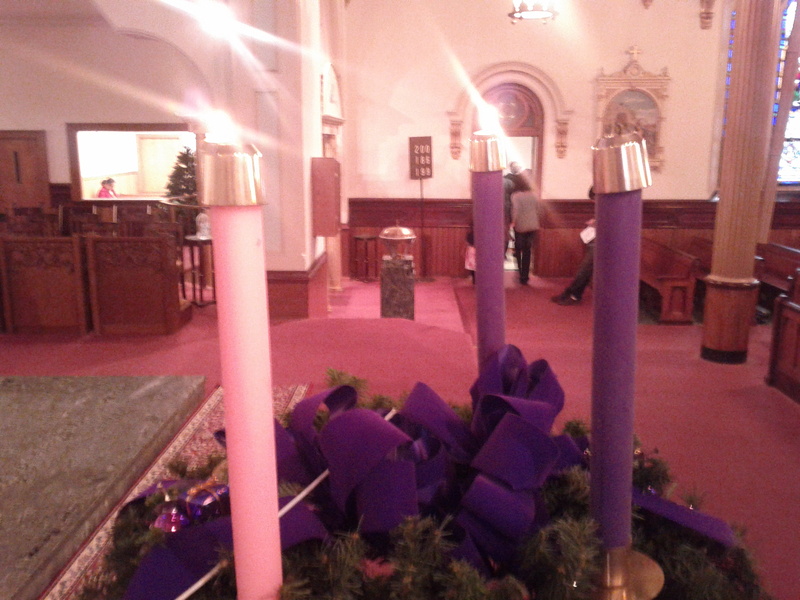 Just noticed that in my photo of the St. Peter’s Advent wreath, the second purple candle is directly behind the unlit pink one. We apologize for the confusion. 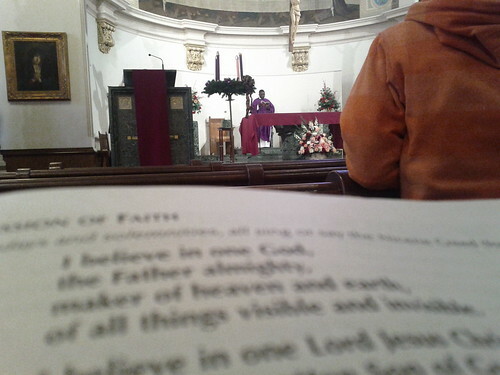 This Advent is the first anniversary of the new translation of the Catholic mass. I was planning to write something here about how the transition has gone perfectly in the parishes I’ve attended. Then today at mass, the priest forgot a line in the Gloria. Oh well. Let’s see where we are in another year. I enjoy experimenting with Advent prayer guides, but this year I’m keeping it simple and just following along with Give Us This Day, a daily prayer book I already use. I’ll also be listening to any Advent talks that Susan Stabile posts. 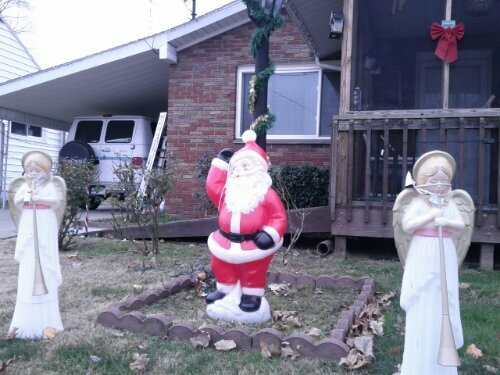 Santa Claus preceded by two angelic heralds, one muted, the other blinded. Getting a jump on the season in West Virginia. 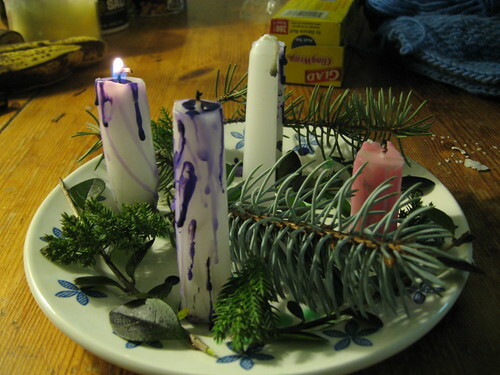 Each year for the past few years, we’ve assembled an Advent wreath from scratch, scrounging candles from drawers and the supermarket, attaching them to a dinner plate with hot wax, and covering the rest of the plate with branches from the nearest evergreen. 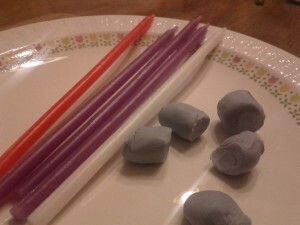 This year I’ve bought a bunch of candles and plasticine so I can make a better wreath. In fact, I’ve bought more than enough, so if you’d like to make your own wreath, I’ll mail you enough candles and plasticine to do it. Send your address to pieandcoffee@gmail.com with the subject line “Advent.” I’d really like to get these in the mail by November 27, so please let me know ASAP. This month the US Catholic bishops endorsed the Vatican making Dorothy Day, the co-founder of the Catholic Worker movement, a saint. Dorothy is one of my greatest heroes, a woman who gave her life to serving the poor and speaking out for justice and mercy. She’s also a controversial candidate for sainthood, not only because she was a pacifist and anarchist, but because she famously said: “Donâ€™t call me a saint. 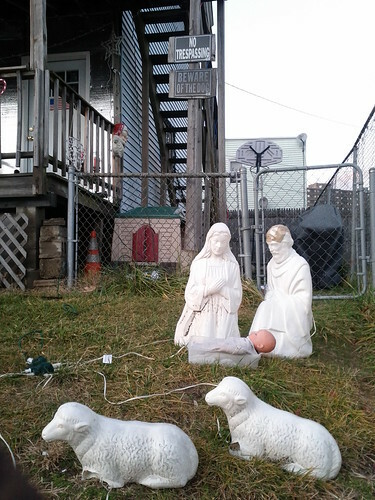 I donâ€™t want to be dismissed that easily.” Here’s a good article on that with thoughts from Fr. James Martin and from Robert Ellsberg, who worked with Dorothy near the end of her life and edited her published letters and journals. Every year I encourage my Christian friends to take a mild step to “put the Christ back in Christmas” by not shopping on the day after Thanksgiving. Julia Smucker makes a similar argument, with a big helping of theology. Can’t believe I forgot to mention: The best Wal-Mart/Black Friday project yet, Mark Dixon’s My 49 Hours at Wal-Mart. Today is the first Sunday of Advent, the beginning of four weeks of Christian preparation for Christmas. 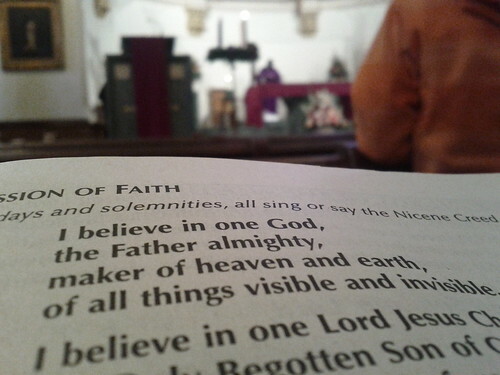 This year, it also marked the day when American Catholics began using a new translation of the Roman Missal, the first big change in what we say at mass in 40 years. At St. Peter’s I’d say 0 of 200 people (including myself) were following the missal closely enough to override the habit of decades and give the new response. “And with your spirit” popped up throughout the mass. By the end we were at about 50% compliance with the new text. As part of today’s homily, the priest observed that the spirit of Advent is “To be awake, to be aware.” To a Buddhist sympathizer like me, this sounds like mindfulness. 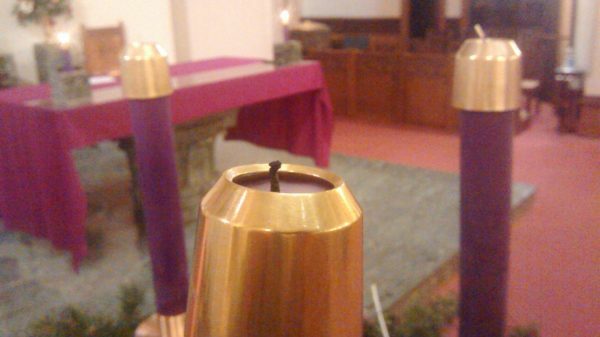 This Advent I’ll be giving special attention to silent prayer, perhaps lighting the Advent wreath briefly each day. Since Dorothy Day’s published diaries, The Duty of Delight , are finally available as an e-book, I’ll be including them in my Advent meditations. 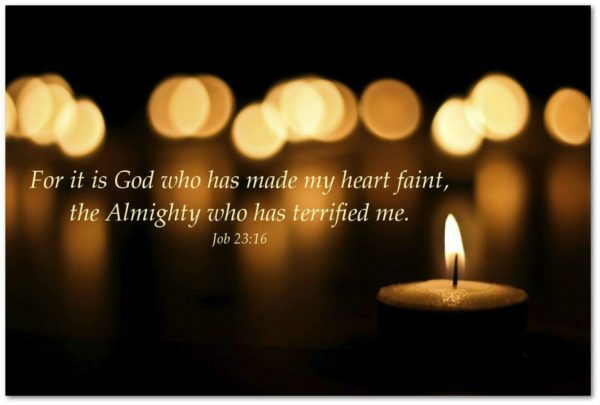 The US Bishops have sometimes published an online Advent prayer guide; I can’t find anything like that this year, so until I do find something comprehensive, I’ll be working with whatever Susan Stabile posts that day.